Youtube++ is a great opportunity to download videos from youtube without jailbreaking the iOS device. Actually, Youtube official app won’t help you with the video downloads. Whereas the tweaked youtube app will make your job much easier by allowing you to background playback controls, video downloading, etc. Of course, We have Tubemate, iTube and it’s alternatives but, this is a modified youtube tweak and it will allow you to access a bunch of unexpected features. 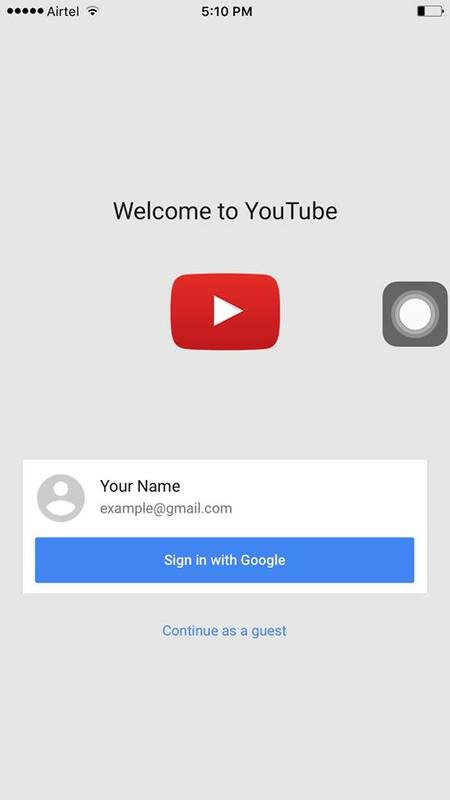 Today, We are going to download YouTube++ for iPhone that helps in downloading youtube videos on your iOS device without jailbreaking. Why do we need a tweaked youtube app?, It’s just because the official youtube app does not have video downloading opportunity. 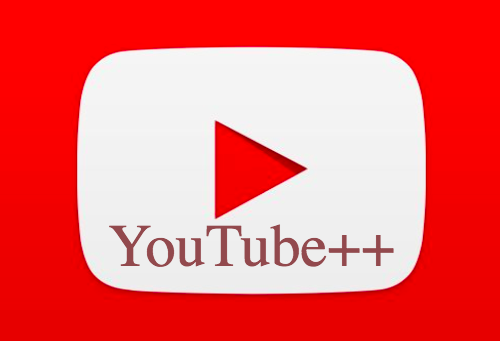 There are many advantages in the youtube tweak over official youtube app. Moreover, the tweaked Youtube++ for iOS 12, iOS 11 or iOS 10 has everything that a typical music lover would want to have. I remind myself that I was struggling a lot to listen to videos and music on YouTube App on my iPhone. If still, I would want to listen to music, I better need a robust battery for my iPhone as the iPhone battery drains very fast when the screen is open for a long time. Because Youtube app does not support background play and the app will stop working once it is pushed back to the background. 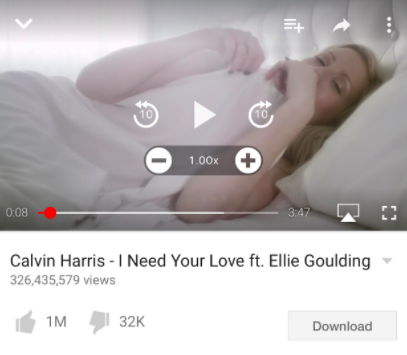 9 How to Use YouTube++ on Your iPhone or iPad? 10 How to Save Offline Videos to Camera Roll on your iPhone or iPad? This is a modified version of the official youtube app. It comes with a huge list of awesome features that you never even dreamt of. 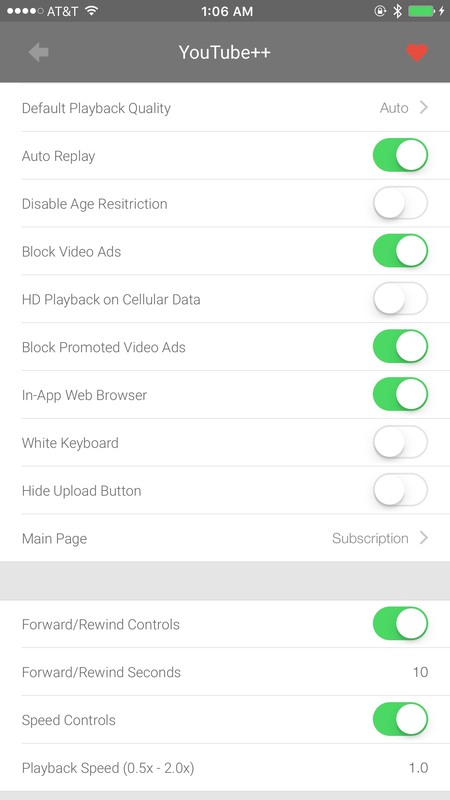 You can disable age restrictions and access the content without any restrictions on your iOS device. You can block promoted ads, video ads and hide upload button and much more enthralling features will steal your attention. 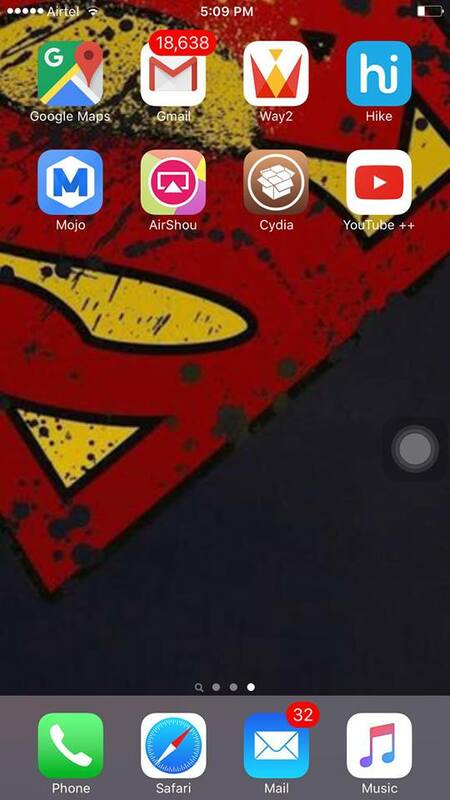 Moreover, It is one of the Best Cydia Tweaks and it is not a standalone app. 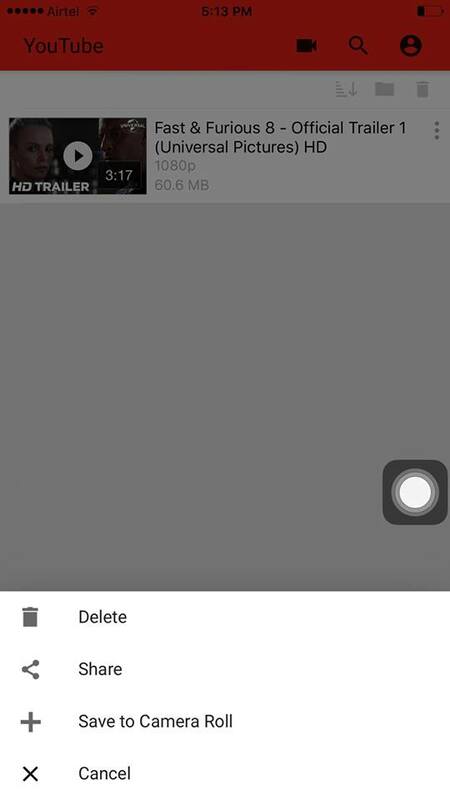 This Tweak will allow you to download every video that you watch and you can find the download button below every video. 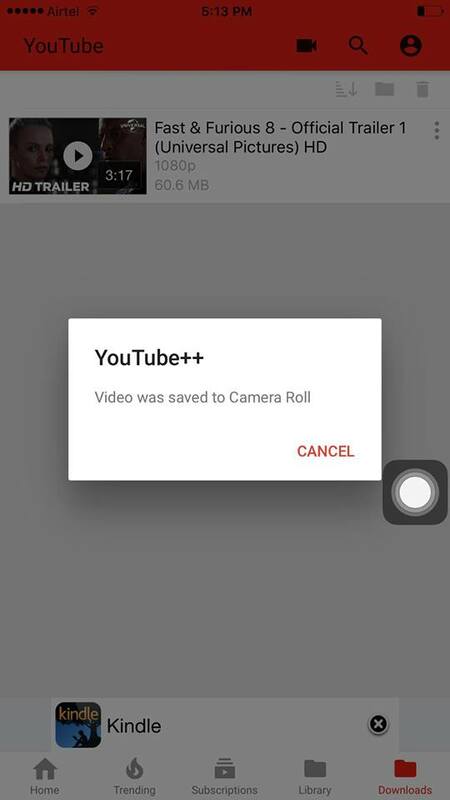 It means that you can watch, download and remove videos from the app right away. Downloading “Audio Only” from video feature is the best part of the tweak and you can listen to it in your free time. Check more features of the application before you get it on your iDevice. Background Playback: This feature will make your day and you can treat this app as a music player. It will play the music even if you push back the app to the background and on lock screen too. White Keyboard: Of course, this is not a considerable factor but it will make some difference in the routine look of the app. Default Playback Quality: You can set a default playback quality for the videos that you play on your iDevice. It will reduce your effort to customise the settings everytime you watch. Download Videos: Downloading videos with a single click is the best part of the app. You dont need to sign up and you don’t need to verify your age unlike most of the video downloaders out there. Add Videos to Camera Roll: Add the downloaded videos to the camera roll and then you can share them using the shareit kind of apps. No Restrictions: Disable Age Restrictions and much more. Block Ads: It can block ads for you. But this is not a recommended option if you are making money through youtube creators. It is better to get the app and feel the features without wasting time. I strictly won’t recommend you to go with the apps like this. All the information provided here is for educational purposes only. It is totally up to you about using the app or not. 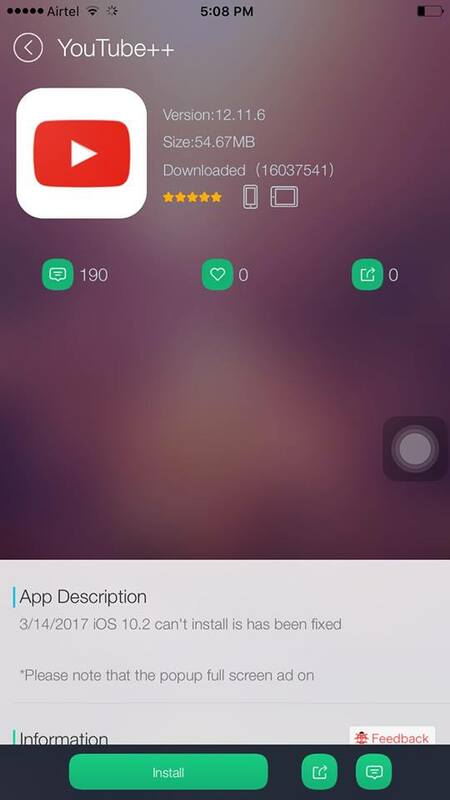 Cydia App or Tutu Helper or Youtube++ iPA and Cydia Impactor. Windows or Mac or Linux Computer. You are most eligible if you have all the requirement mentioned above. Let’s move on and enjoy with the tweak. 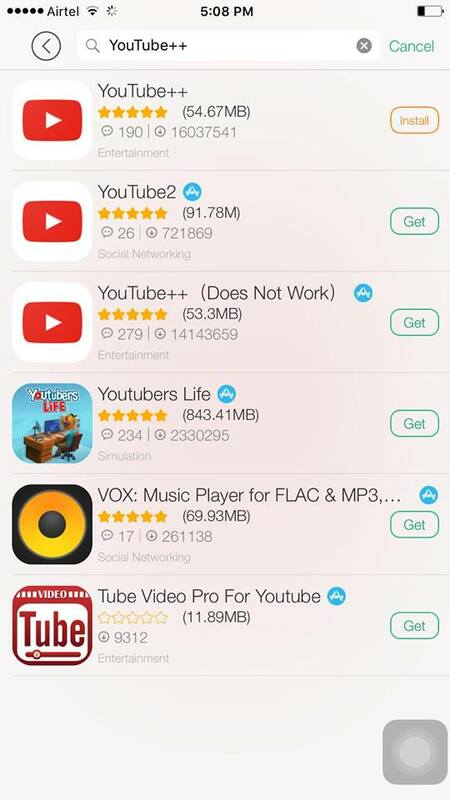 Downloading and Installing the YT++ Tweak on your iPhone or iPad is not a big deal. It’s just enough for you to follow the simple guidelines that I am going to provide you below. Moreover, you are not going to jailbreak your iDevice and even if you would like to jailbreak, I won’t recommend you. There are numerous tweaks that come your way without jailbreaking, Why do you need jailbreak then?. 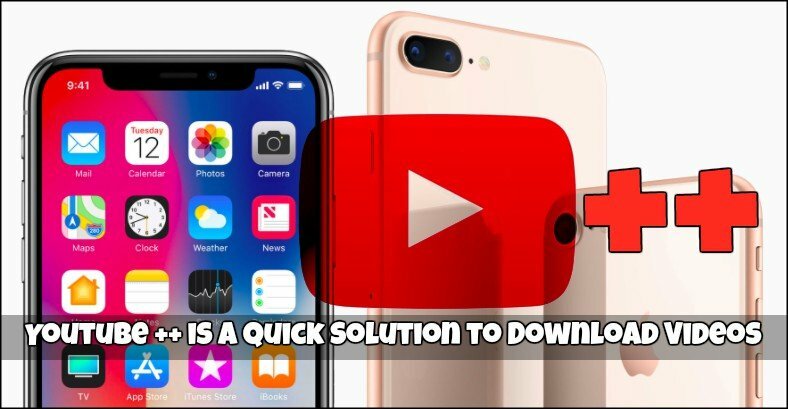 You must need Cydia in order to install Youtube++ on iPhone or iPad in 2018. Actually, Jailbreak is a must have requirement for any iOS device in order to install the Cydia app on your iDevice, but not now. Here is a guide to Install Cydia on iPhone Without Jailbreak as I won’t recommend jailbreaking. Then, start following the guidelines mentioned below. Launch the Cydia app on your iPhone or iPad where you want to install the youtube tweak. Go to the search bar and type “Youtube++” and hit enter. Click on the app and follow the on-screen instructions to finish installing the tweak. That way you can get the tweak on your iOS device. You should require a Cydia Repo in order to download the tweak for your iOS device and here are the instructions. Open Cydia and click on “Manage” option. Now, Click on “Sources” under Manage option in Cydia app on your iDevice. Click on “Edit” and then on “Add” option in order to add the Repo. Copy and paste the repo address “https://beta.unlimapps.com/” on the Cydia app. 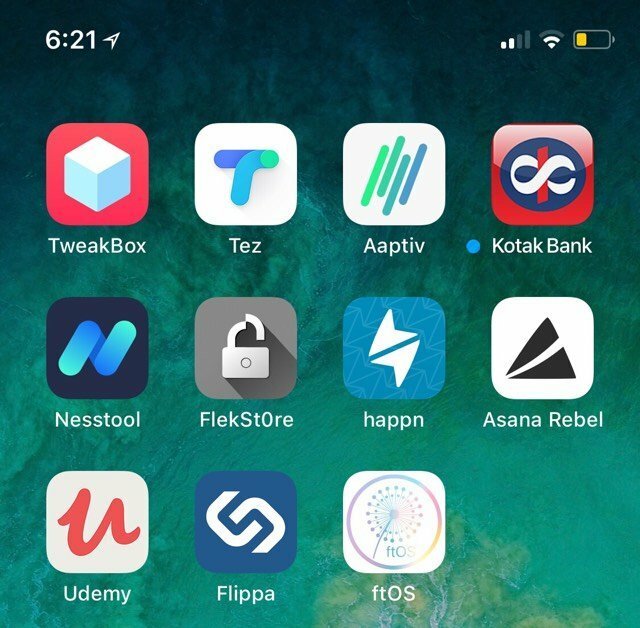 Go back to the home screen of your iPhone or iPad to launch the app. Now, you can launch the tweaked youtube app on your iOS device to download the videos without jailbreaking. This way, you can unlock much more new hidden and unexplored features. In case, if you feel the method given above is difficult, you may check the alternative procedure to install the tweak. Cydia Impactor is a better alternative to Install Cydia Apps on any iDevice. The process of installing the apps through Cydia Impactor is completely different comparing with Cydia App. First of all, You need to download the IPA file of the app that you are about to install from the official app developer site. Moreover, You should need a PC or Mac in order to side load iOS apps on your iPhone using Cydia Impactor. So, check out the instructions given below and get Youtube Plus tweak for your iDevice. Install Cydia Impactor on your Windows, Mac or Linux computer. You may follow the installation guide to wrap it up successfully. Download YouTube++ IPA for iOS 10 or iOS 9 on your iPhone or iPad. Make sure that the version of IPA file that you grab should support the iOS version of your iDevice. Launch Cydia Impactor on your Windows or Mac computer. Connect your iOS Device to the Computer using a USB Cable. Minimise the iTunes if it opens up while connecting the iPhone to pc. Select your iPhone from the drop down menu on Cydia Impactor App. Now, Drag and drop the Youtube++ IPA file onto the Cydia Impactor and wait for some time. After few minutes, Just disconnect your iOS device from the computer. Those two are the most commonly used methods to get the app on your iOS devices. You can also give the method given below a try and enjoy watching youtube videos without restrictions. Tutu Helper is one of the best alternative app stores for Cydia. You do not need to jailbreak your device and it’s purely non-jailbreak trick. Tutu Helper has thousands of paid apps and you can use them for free. It has working Yalu Jailbreak app if you would like to jailbreak your iOS devices. 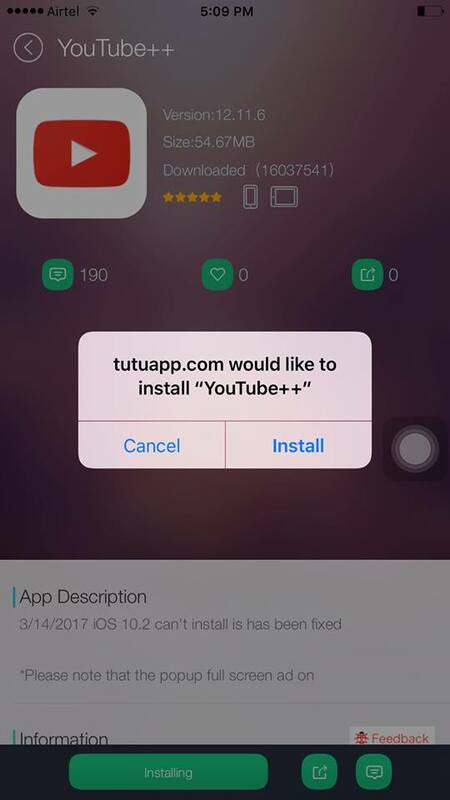 Install and Open Tutu Helper Free app on your iDevice and you may follow this guide. Type “Youtube++” in the search bar and hit enter. Click on the app and it will take you the installation interface of the app. Click on “Install” button which is there at the bottom of the screen. Tap on “Install” again if the pop-up shows whether to install it or not. Make sure that you should not click on “Cancel” option as it will cancel the installation process. It will take few seconds and wraps up the installation process. You can find the installed app on the home screen of your iPhone or iPad. Congratulations! You must see YT++ tweak on your iPhone or iPad. You may launch the app to utilise the features of the application right away. Let me guide you with the usage of the app. ftOS is one of the finest and simplest third party app stores for iOS devices. You can download utilities for iPhone, App Mods, Paid apps for free, Duplicate apps, Old version apps, Hacked games, etc. Let’s go through the process without wasting time. 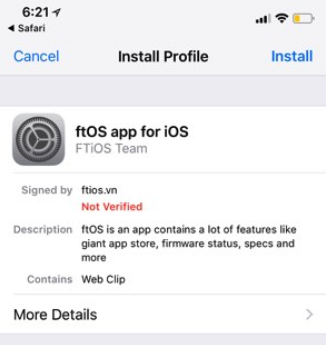 First, Install ftOS app by by going through http://ftios.vn/install using the Safari browser. There you see two versions, go with the english one. 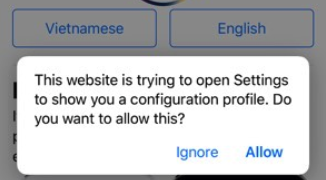 Click on English, and then tap allow if you see any pop up on the screen of your iOS device. It will open up the Settings app on your iPhone, there you need to carry out the installation. Click on “Install” and stay calm until you see next window. Give it sometime and check if the app icon is added to the home screen of your iPhone or not. Open up the app and click on ftStore which at the right bottom of the screen. There, you need to tap “App Mods more feature” option. Scroll down till you see the app, for your information, the app will be there at the end of the list. Click on Youtube++ app which is about 60.99 MB and then tap “Install” and wait for sometime. Now, you need to trust the developer profile of the app. Head over to Settings >> General >> Profiles and device management. There, select the profile named Amssy software and tap “Trust“. That’s it! you are done with the procedure. Open up the app and start watching the stuff without any restrictions. Download the videos in high resolution, and save them to the camera roll as well. How to Use YouTube++ on Your iPhone or iPad? You may follow the instructions given below and check out how to use this app on your iPhone or iPad. First of all, Open the app on your iOS 10 or iOS 9 device after installation. Moreover, you may sign in with your email or continue as a guest. Search for your favourite video or a movie and start watching it. Moreover, you can use the Minus (-) and Plus (+) symbols to slow down or speed up the video. It will make that video either a slow motion video or a fast forward motion picture. 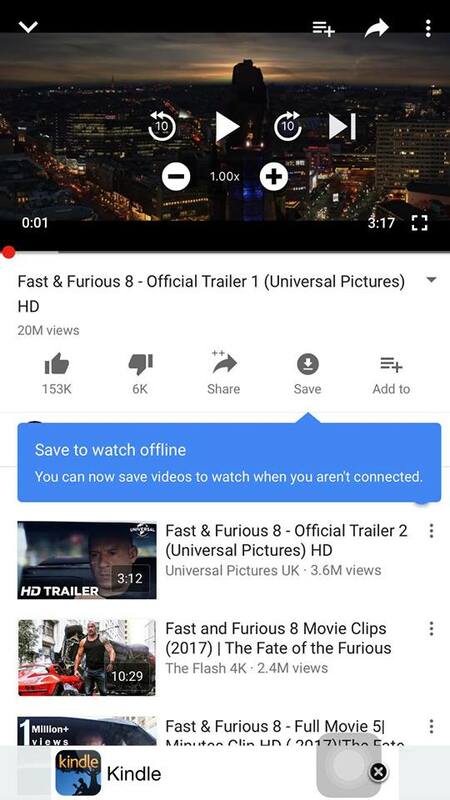 “Save” option at the bottom of the video will help you save the videos to offline videos. So that you can go to “Downloads” folder on the app and get access to the saved videos. Do not forget that you do not need to have the internet to watch the offline videos. So, that is how you can use the app and you can even explore more of it by using it on your iDevice. Have you ever thought of saving the offline videos to the camera roll on your iOS device?, Check it out. How to Save Offline Videos to Camera Roll on your iPhone or iPad? Saving the offline videos to camera roll is a great option that will help you share videos to your friends on WhatsApp or other social networks. Moreover, you can watch them anytime without internet. Click on “Save” option right below the video on the app. 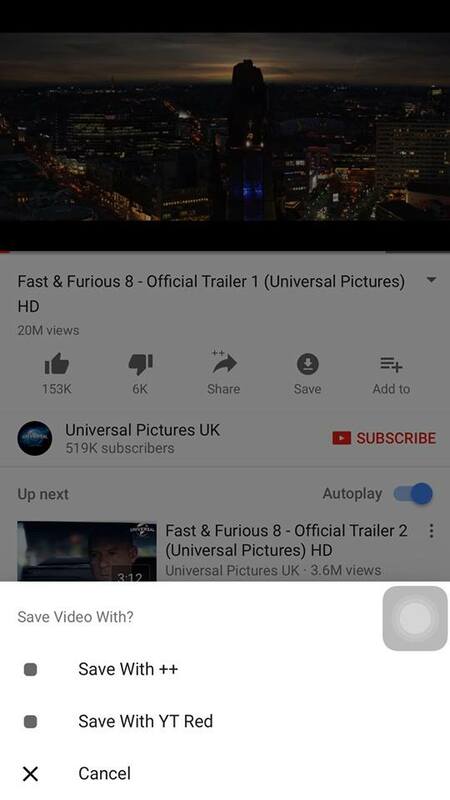 Now it will show a semi pop-up asking you how to save the video. You may tap “Save with ++” now. It will ask you to chose the resolution and clarity of the video before saving it to the offline. 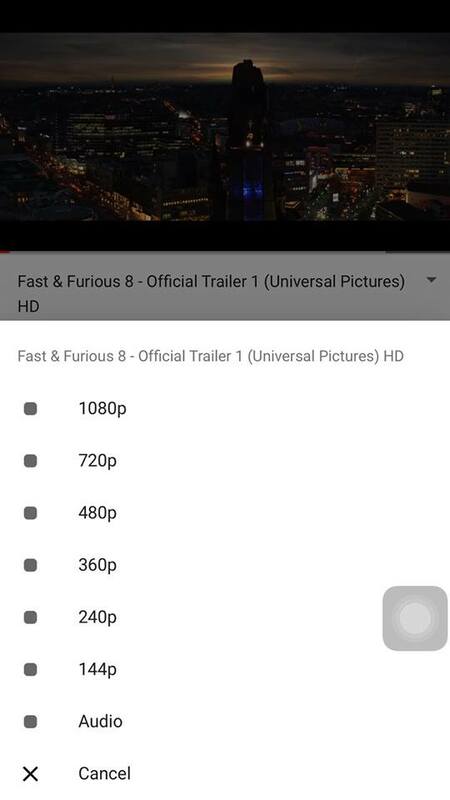 Tap any of the options available there from 1080p to 144p. Go to “Downloads” folder to check whether the video is downloading or not. Click on the 3 vertical dots to the right top corner of the video after finishes downloading completely. It will show you some options and you can tap on “Save to Camera Roll“. Now the video will be saved to the Camera Roll on your iPhone or iPad. Go back to the camera roll on your iDevice and check out the video if saved or not. Comment down if you have any difficulty with it. Youtube++ is a Cydia Tweak that assists you to access a huge list of unexplored features to enjoy music and video. I believe, Jailbreak is not recommended and I always do not recommend jailbreaking. By the way, I have given everything about installing the app and benefits of the app. I would like to hear from you and I am always ready to solve any error that you get while installing or using the app. Thank You so much. Great…!! that’s great advice good work.